If you are a regular user of conference facilities, or are making a series of bookings, you will benefit from becoming a Conference Loyalty Club Member. 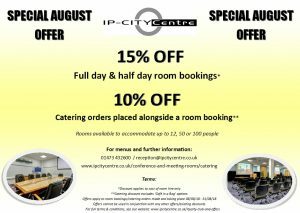 As a Member, if you book 4 meetings in one of our conference/meeting rooms you will receive your 5th booking free of charge. The cycle continues for the next series of bookings. You can save up to £195.00 each time you make a fifth booking. There is a one-off fee of £5.00 to join and obtain your membership number, but there are no renewal fees. 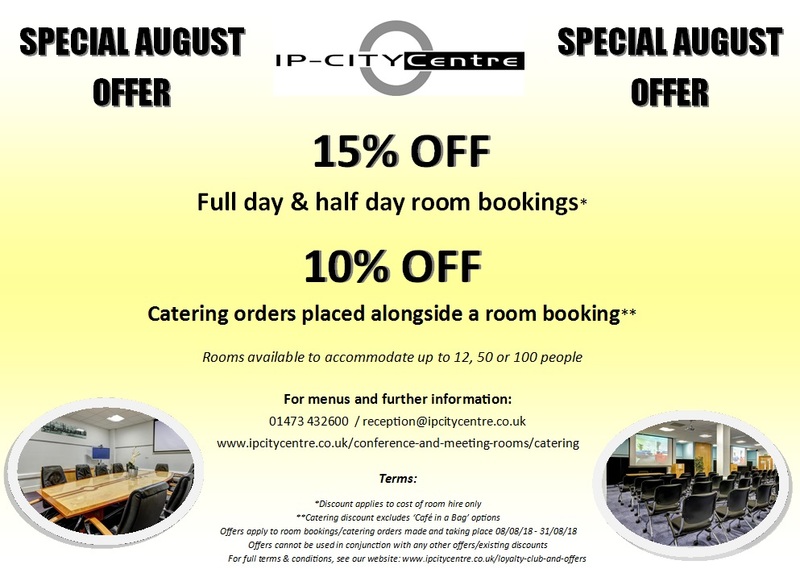 For more information or to join the Conference Loyalty Club please contact reception on 01473 432600 or email us at reception@ipcitycentre.co.uk. All prices are exclusive of VAT at the current rate. Terms and Conditions apply. Normal cancellation terms and conditions apply at full rate. All standard terms and conditions will also apply.